3) Continually nurture patients over time. You’re in luck! Today, we’re providing just that. It really all comes down to this: in order to be successful at content marketing for your patients, you need to focus on downloadable content, also known as lead generation content. You’ll provide high quality, valuable content for both current and prospective patients. At the core of any good marketing campaign is content. Content is how you demonstrate your value, highlight the type of care and specialty services you provide, what makes your practice unique, and so much more. Perhaps you’ve been struggling to come up with new content ideas, or just aren’t sure where to start, so allow us to provide you with some examples of downloadable content. Ebooks are popular for a reason. They generate leads, will educate your patients, and help establish you as a thought leader in the healthcare space. An Ebook does take time to create, but we promise it’s worth the investment. Check out this 10-minute read from Hubspot: How to Create an Ebook From Start to Finish. Checklists are a great, short offer for patients to quickly download or print. Checklists should include clear headers, brief copy and an appealing design. Check out this great example from Cedars-Sinai. Guides When it comes to creating a guide, there are numerous formats you can use. There are long, in-depth guides that typically include step-by-step instructions, simple guides that are much more concise, and guides that serve an introductory purpose (i.e. to introduce patients to a new form of therapy). No matter which one you choose, they all serve as a helpful, easy tutorial that a patient can quickly access. Check out this great guide from Cigna. Webinars Do you have a physician serving on a panel? Or perhaps you’re attending a professional health seminar and your organization is playing a prominent role? A webinar is a usual content tool for introducing prospective patients to your practice, while simultaneously establishing you as an expert in the field. A successful webinar is an investment, and takes time to promote, but with the right strategy in place it’s a great way to capture high quality leads. 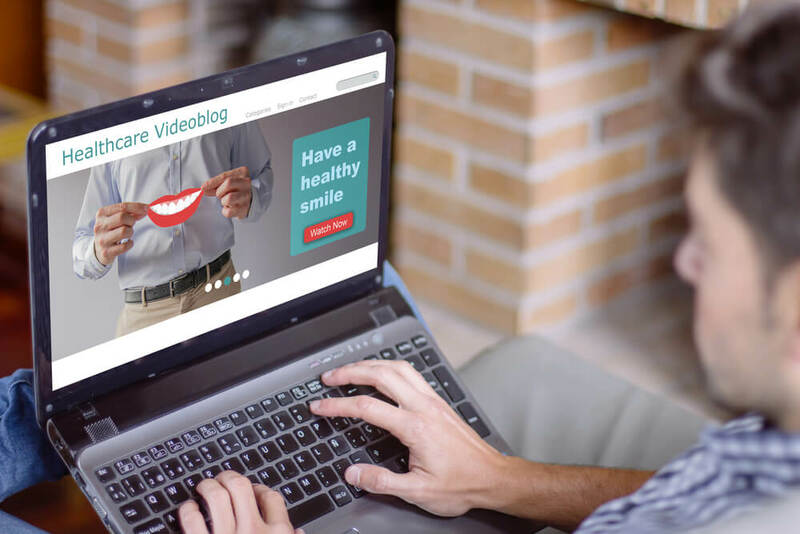 An added bonus: after the webinar concludes, embed the file on your website so both current and prospective patients can watch at their convenience. Whitepapers Similar to an Ebook, a whitepaper allows you to create more in-depth content, but is also more educational in nature. Whitepapers are a natural for the healthcare field, given the on-going research and data that exists for numerous medical topics. Also, don’t forget about the content you’ve already created! Repurposing content allows you to work more efficiently, utilize different mediums and in the process reach a new audience. An example: written a blog series about diabetes? Take those posts and repurpose them into an Ebook, i.e. Diabetes 101: the causes, signs, preventative measures and treatment options. We love a good brainstorming session. This is where all ideas are considered and discussed, before deciding what sticks. Consider these health-related topics in advance of your next team brainstorm to get the ball rolling! Type of Content: This topic could be covered in a blog post, FAQ sheet, and/or a guide, to name a few. 2) Is (name that procedure) Right For Me? Example: Is Lasik eye surgery right for me? Type of Content: Consider using this topic in the form of an interactive quiz. Type of Content: This topic would work well as a checklist, could be covered on your blog, and so on. Example: Do you have asthma? Learn how to increase your awareness about this physical condition. Type of Content: A quick Q&A or quiz, to help patients understand symptoms they may be experiencing. Type of Content: Create a landing page with a downloadable offer. This is a great strategy to get leads in the door. There is so much to be said about content marketing for your patients, so let’s keep the conversation going. Still have a question about downloadable content? Or content marketing in general? Contact one of our healthcare marketing experts for a free consult, or check out our Healthcare Inbound Marketing Checklist for your next campaign. We can’t wait to hear from you!